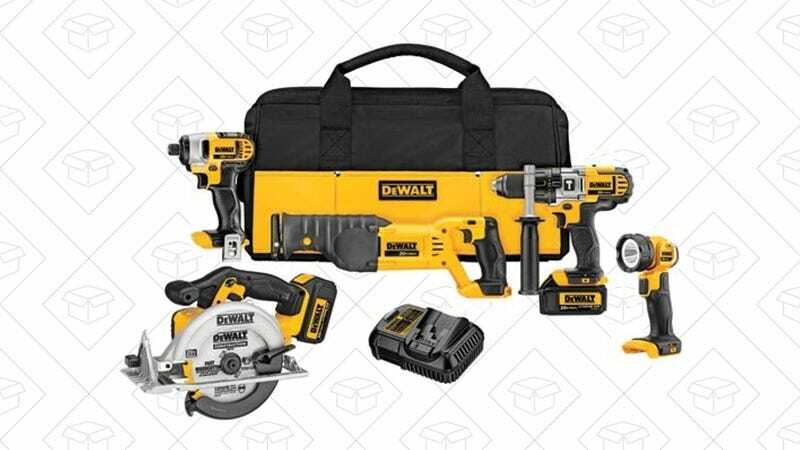 If you have any big home improvement projects on the horizon, today’s DEWALT deal on Amazon might be a great investment. 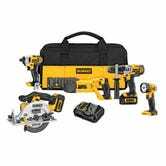 $399 gets you an impact driver, a hammer drill, a worklight, a circular saw, a reciprocating saw, a tool bag, a battery charger, and two lithium batteries that can work with all the tools. Today’s Gold Box deal is by far an all-time low price on the kit, but even at its usual $550-$600, it’s racked up a stellar 4.5 star review average.